Over 40 years & 500 builds worldwide. Back in June, we began listing the Southboats Special Project 'Iceni Pride' a 13m GRP catamaran owned and operated by Iceni Marine as a rapid response service catamaran for the wind-farm sector. 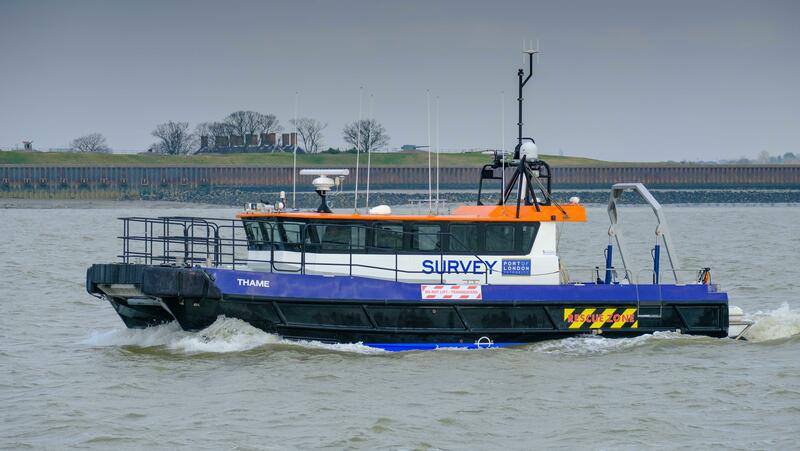 She was subsequently sold through us to the Port of London Authority (PLA) and she has since been renamed and adapted into a survey vessel for their hydrographic fleet. Now called 'Thame', her conversion work was completed by her original builders, South Boats, on the Isle of Wight and was delivered to the Thames yesterday (Thursday 22nd February) with final bits of work currently being completed by the PLA.